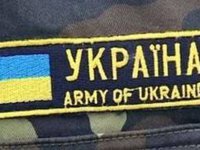 Ukraine's Defense Ministry additionally needs UAH 950 million for Ukrainian army provisions, First Deputy Defense Minister Ivan Rusnak has said. "We've analyzed the pricing policy on the market of services and a considerable increase in raw materials costs, prices of provisions have increased by a few times. Taking this into consideration, the Defense Ministry needs an additional of UAH 950 million. We hope for the support of the government and the Verkhovna Rada," Rusnak said during the government's report to parliament on Friday. According to him, the additional funds will enable the stockpiling emergency supplies and (purchase of) uniforms and equipment for about 80,000 troops.